Shackleford Banks is one of the most beautiful and fascinating islands on the East Coast. Over 100 wild horses roam the isolated shores of this deserted island. 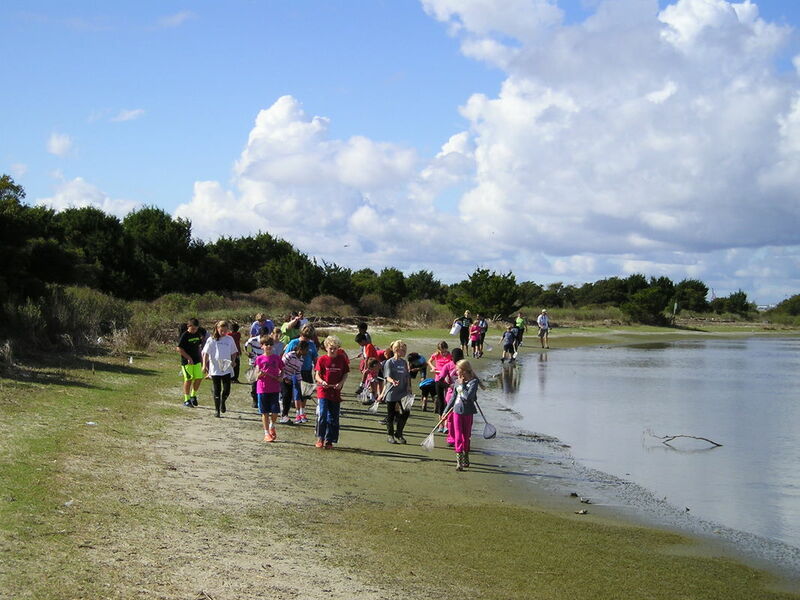 During this excursion students explore the life in a vast tidal flat, study barrier island zonation as they hike over soaring sand dunes, and discover the wonders of remote beaches where they collect shells and learn about sea turtles. Cruise also includes a dolphin watch! Choose this program to encounter dolphin, banks ponies, and for best barrier island study. Taking students fishing is a great way to spark interest in the natural sciences and the oceans’ resources. Fishing, tidal flat exploration, and a barrier island hike are all part of this program. This program visits Shackleford Banks and the surrounding waters. Banker ponies are usually sighted! Choose this program for fishing and encountering the largest variety of specimen. Visit one of the most scenic locations on the Carolina coast during this excursion to Core Banks and the Cape Lookout lighthouse. During this program we explore tidal flats, study pristine beaches, and visit the 163' high Cape Lookout lighthouse! The lighthouse has been guiding mariners around North Carolina's treacherous shoals since 1859. The geography, water and beaches of Cape Lookout are remarkably beautiful. This program departs from the charming coastal community of Harkers Island. Two islands in one field trip! We offer this program to both Cape Lookout and Shackleford Banks in one five-hour incredible field trip! 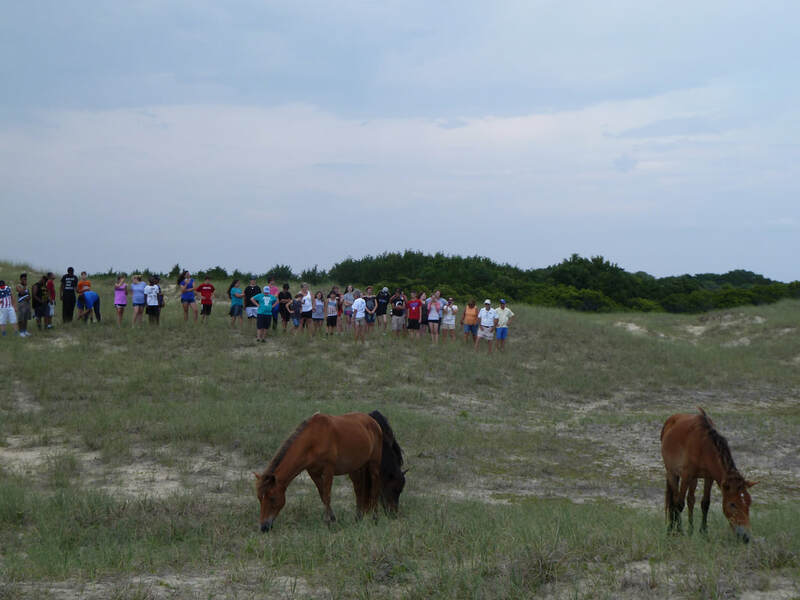 In addition to visiting the Cape Lookout lighthouse, this program includes an exploration of the remote eastern point of Shackleford Banks where banker ponies are commonly found. Our oldest and most popular program, this excursion takes your class to the beautiful deserted beaches of Masonboro Island. Masonboro is the largest undeveloped island on North Carolina's southern coast and is preserved just for education, research and traditional uses. Activities can include crabbing, investigating the life found in a salt marsh and exploring one of the best shelling beaches in our state. ​Cape Fear - Atlantic Voyage - A Day at Sea! A trip on the open ocean connects us to the life, energy, and scale of Earth's largest and most important environment. This adventure offers the best fishing of any of our half-day trips as we travel to Wolfe Reef to fish for sea bass, porgies, blues and an assortment of other species. Vertebrate and invertebrate studies also take place with marine life collected in a shrimp trawl. 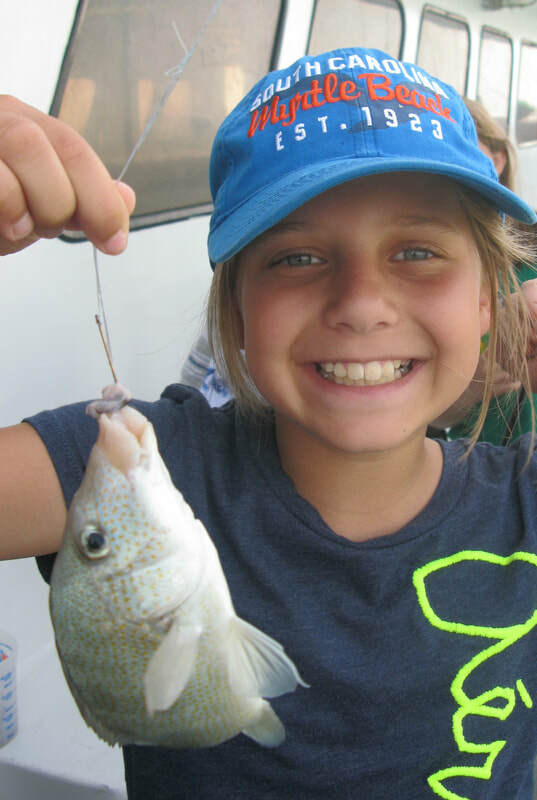 The fish the students catch become the subject matter for the study of ecology, adaptations, and other natural science topics. This is a great trip for sighting bottlenose dolphin! Choose this program for our most "at sea" experience and for exciting fishing. This is also our most educational program for covering the middle school curriculum. Suitable for all grades 4th and above. 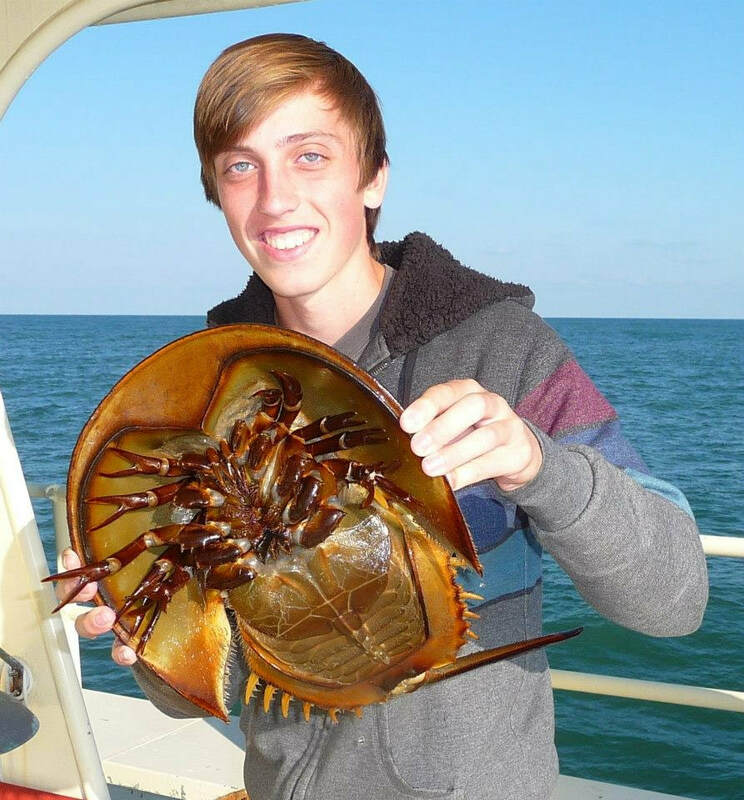 Fish, search for fossils, hunt for mole crabs and do hands-on food web studies at the historic Kure Beach Pier. This program also includes a pizza lunch for your group's convenience. The pier provides a convenient location for souvenirs and easy beach access. Choose this program for affordability, fishing, and the convenience of having lunch included. Takes place in Kure Beach, NC.. Traveling to the Gulf Stream is like traveling to an undiscovered realm for many people. It is a place of crystal blue water and magnificent marine life. Flying fish, 300-pound sea turtles, and dolphin are often observed. Students catch and learn about reef fish during this full day offshore trip. Students also take part in oceanographic studies. Choose this program for exposure to an environment few students have ever visited, for high level content, and outstanding fishing. Suitable for grades 9th and above.